It's about the first US warship sunk in WW II after a German submarine attack. The ship was escorting an allied convoy although the USA were still neutral during this time. It went down under great loss of life and was one argument for America officially declaring war to Germany soon after. The guitar chords are by Marc Fahrbach. Written by Woddy Guthrie. 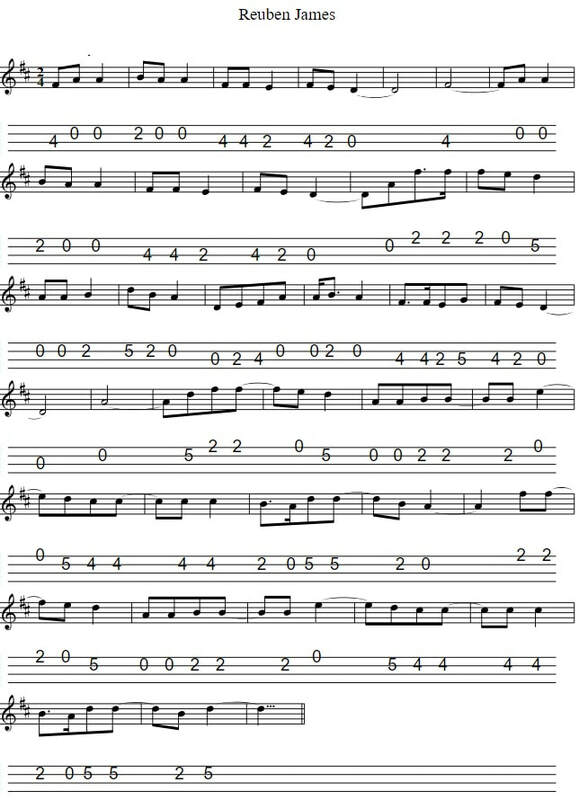 For video-version use Capo on 3rd fret. 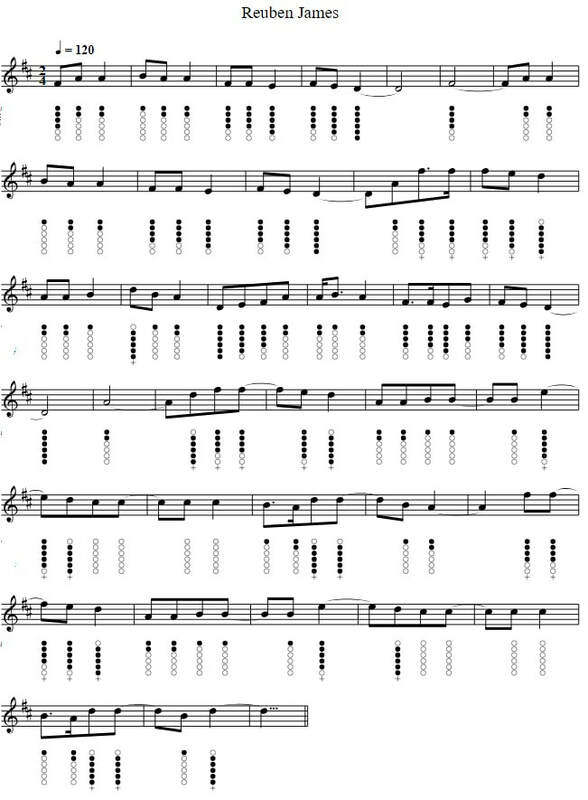 The sheet music notes for Mandolin and tin whistle are included in the key of D Major. Did (D)you have a friend on the (C)good Reuben (G)James? Manned by hard fighting men both of (D)honor and of (G)fame? But tonight she's in her grave at the (D)bottom of the (G)sea. Did (D)you have a friend on the (C)good Reuben (D)James? That we watched for the U-boats and (D)waited for a (G)fight. And they laid the Reuben James on that (D)cold ocean (G)floor. When that good ship went down only (D)forty-four were (G)saved. From the cold icy waters off that (D)cold Iceland (G)shore. And those cold icy waters now are (D)still and are (G)calm. The worst of men must fight and the (D)best of men must (G)die.